Unfortunately, Wood was unable to translate his pace into results as a number of on-track incidents kept the Hereford racer on the back foot. 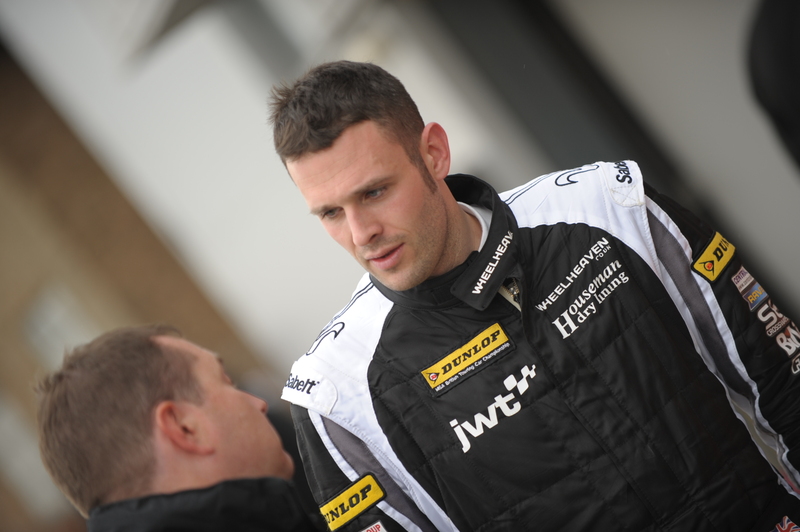 Nevertheless both team and driver were pleased with the progress made, having spent the BTCC’s six-week summer break looking to improve their performances for the second half of the campaign. 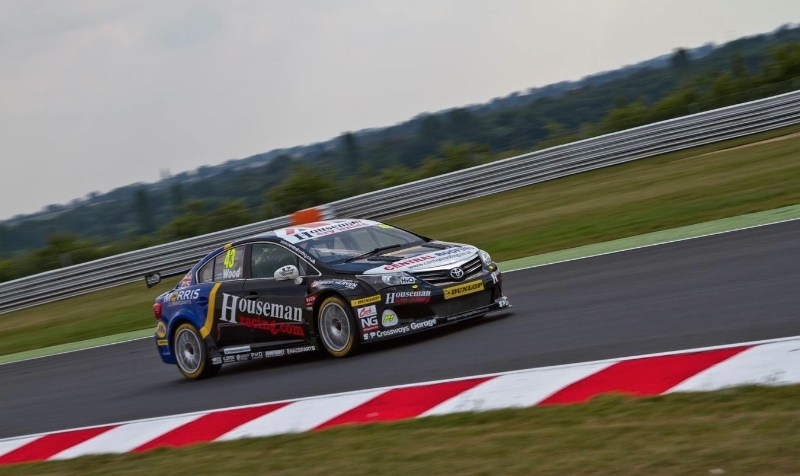 For the Houseman Racing crew this meant significant focus on their Toyota Avensis, while in Wood’s case the step forward came about thanks to a fresh mental approach and significant work in the iZone Driver Performance simulators at Silverstone. And they were rewarded early in the Snetterton weekend when Wood posted an impressive 11th fastest time in opening practice. Come Saturday’s qualifying, he recorded a 1m58.513 to seal 18th on the grid – his best result of 2014 by five spots. However Sunday’s races would prove challenging for the Houseman driver. In the opening contest Wood was forced to dodge an accident ahead of him, sending the Avensis on to the grass to avoid a costly collision. Though he was able to fight on, having dropped to the rear of the pack his chances of scoring points were effectively nought. Nevertheless Wood kept his head down to move back up to 21st at the chequered flag. 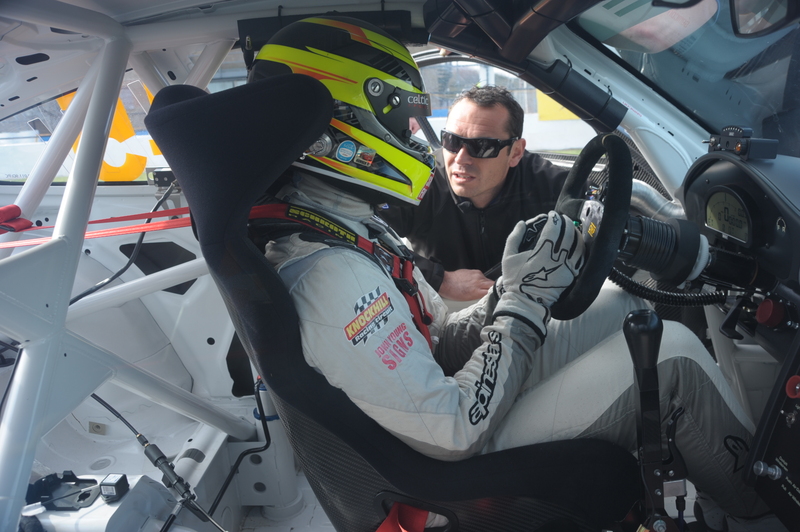 For the second outing the team elected to try a radical new setup direction on the Avensis. Unfortunately this would not pan out as they had hoped and resulted in another frustrating race for Wood, who made early contact while trying to avoid a spinning Alain Menu and also had a moment of his own en route to an unrepresentative P19. The final race saw the team return to their original setup, allowing a determined Wood to make rapid progress. The Houseman driver was up to P16 in the early stages only to be spun around by a rival, dropping him to the rear of the field once more. Another fightback followed, and Wood had climbed to P19 by the time the chequered flag flew for the final time. Lea Wood: “The best way to describe our weekend is ‘character building’. We went to Snetterton hoping to make good on the work we’d put in during the summer break and, in terms of outright pace, we achieved that goal. “Unfortunately several incidents in the races meant we couldn’t score the results our performance warranted. The pack was more frantic than usual this weekend – it’s as if some of the guys are trying to prove a point after six weeks away from racing. So of course we’re frustrated to be coming away with very little having put so much in. Wood and the Houseman crew return to BTCC action at the Scottish venue over the Summer Bank Holiday weekend (August 23/24).